I loved the décor at The Refinery Bar with its elegant industrial take on urban dining. Its use of floor to ceiling glass windows has also helped to create an airy, light and gracious space, and its use of colour and texture added to its comfort. 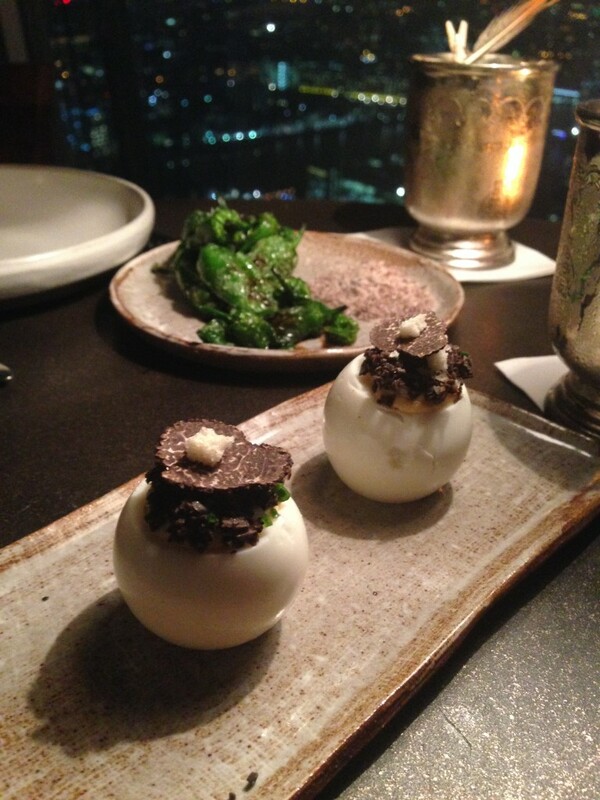 The Refinery Bar is a visually arresting restaurant. Situated on Southwark Street right behind the Tate Modern, it is well positioned to service museum goers. 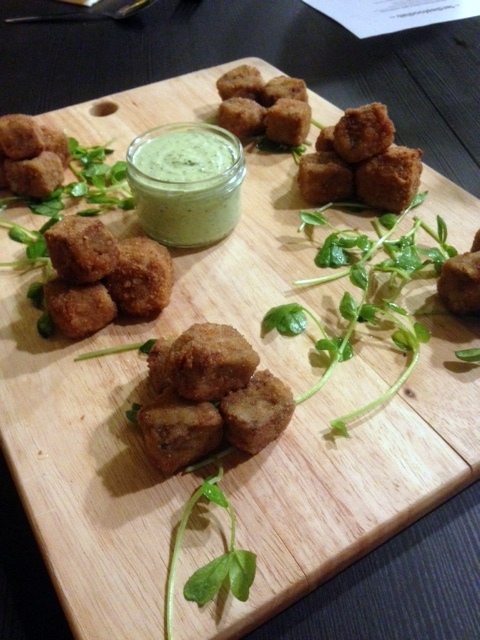 The menu is varied with a selection of plates for sharing, nibbles, sandwiches, burgers, mains and steaks. There is also a large selection of cocktails to choose from, including a variety of Bloody Mary type cocktails. 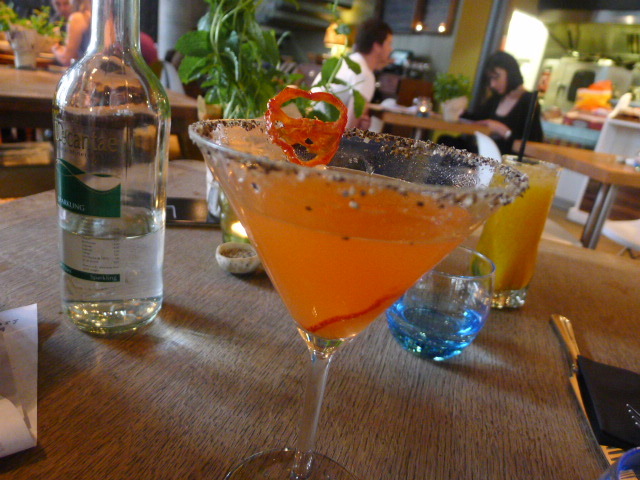 I went for the Crystal Mary martini (£7.95) which was so fiery from the Tabasco that I found it too harsh on my palate. But this was made good with an excellent Russian rose martini (£6.95). The drink was well balanced and smooth which helped it go down a treat. Also impressive was the large selection of wines on the drinks menu that you could order by the glass and in varying measures. Pizarro has been receiving all the same rave reviews that its sister restaurant José also collected when it first opened. But one of the things that make Pizarro more appealing than José is that it is bigger, a huge bonus when both restaurants do not have a booking policy and happen to be two of the most sort after tables in London at the moment. I still imagine there could be long waits, but we turned up around 6.30pm on a Saturday night and managed to nab a spot straight away. The dining room spells T-R-E-N-D-Y. It feels more formal and less raw than José, but it still follows the bar-seating-around-the-open-kitchen formula of its sister. We sat right near the pass during our visit which meant we got to see José at work. 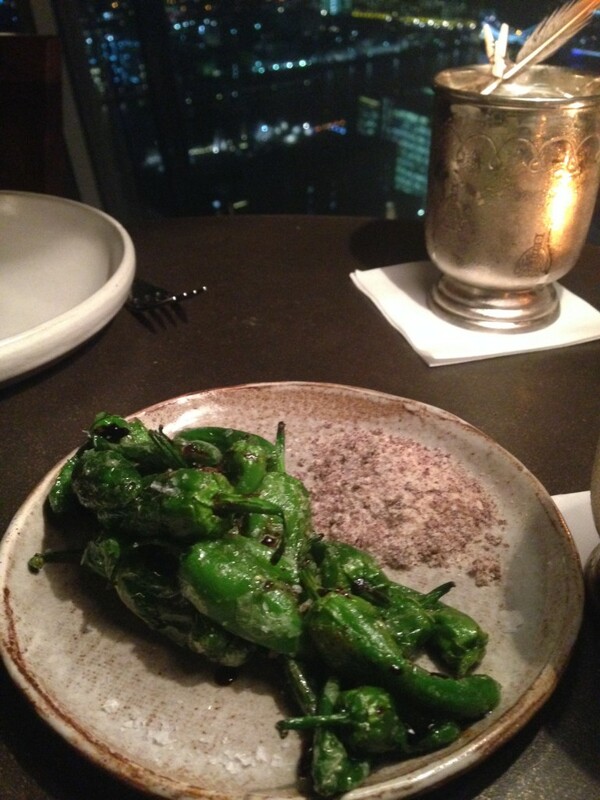 The menu is small, and it has less of a tapas-focus than at José and more main course selections (five). 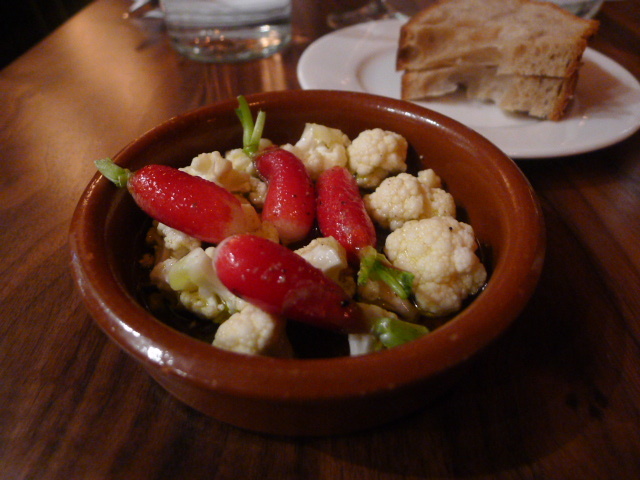 As we decided on what to order, we were presented with some veggie nibbles of radish and cauliflower dressed with olive oil and cava vinegar. These are worth a mention as they were lovely with a hint of delicate acidic sweetness. Delfina is a restaurant I discovered while on route to Zucca and Jose, all three of which are on Bermondsey Street near London Bridge. It has an inviting contemporary look to it – lots of white space – and its high ceilings can be attributed to the fact that it is housed in what was once a converted chocolate factory. The building is now used for exhibitions and the like, and the restaurant opens for lunch from Monday to Friday, and for dinner on a Friday night. On the Friday evening of our visit we tried seared scallops (£7.50) which disappointed. 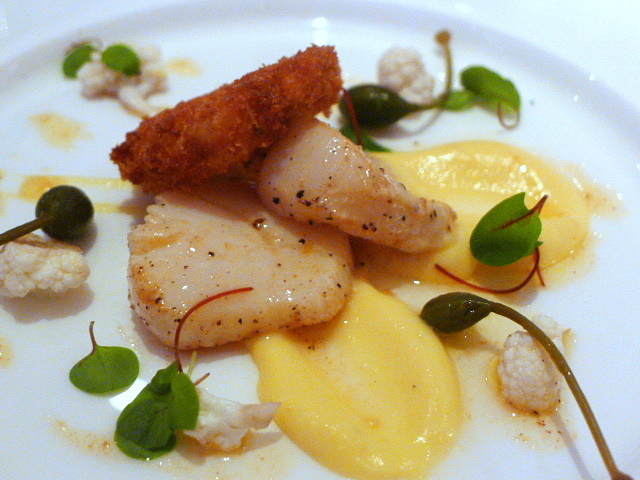 The scallop had started to go bad with an unpleasant taste to them. Furthermore, they weren’t really scallops (plural), but one scallop cut into two. The accompanying saffron cauliflower was also a touch underdone. Italian restaurant Zucca made waves when it first opened last year and no wonder. Not discounting the fact that the restaurant looks great, the prices are also staggeringly reasonable. The modern and stylish dining room is sleek and shiny, and backs onto the open plan kitchen where you can watch the chefs beavering away at their work. The menu was neat and succinct, and sounded incredibly appetising with the touches of Italian authenticity running through it. 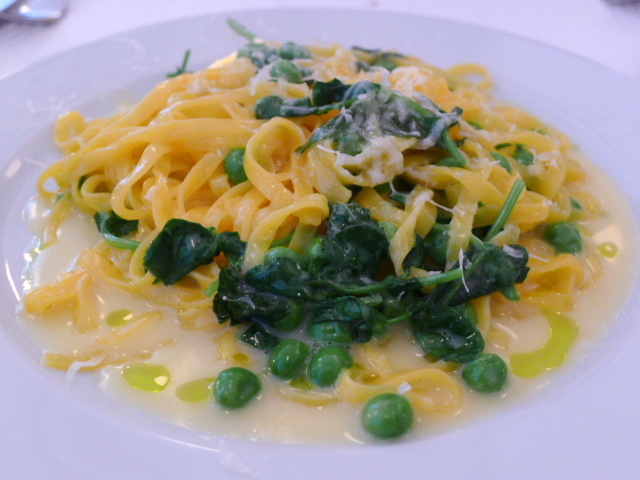 Taglierini with peas and peashoots (£7 for a starter, £9 for a main) was cooked al dente. 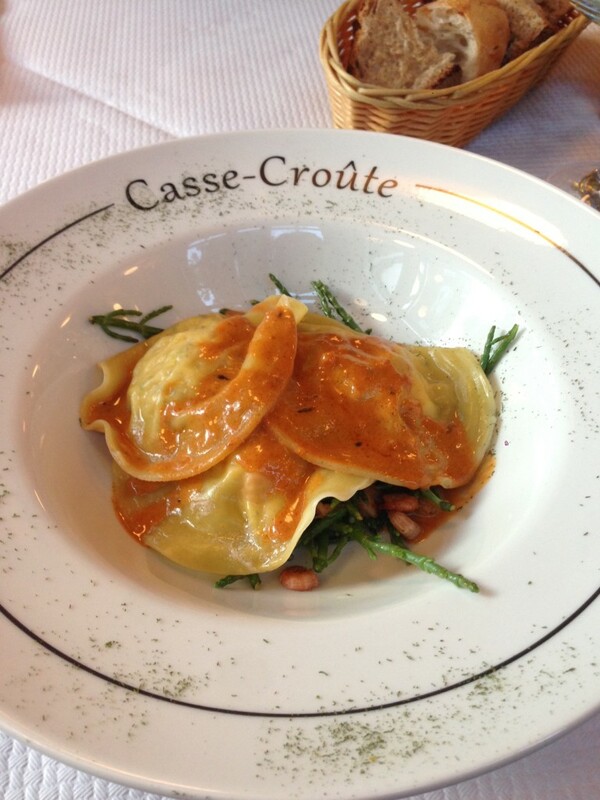 The peas had a nice crunchiness to them, and there was a lovely earthy freshness coming through from the peashoots. Finished with a touch of aromatic mint, the flavour of the dish was good, but it was also very rich as it had been finished with a heavy dose of butter.